When you take one of our online continuing education courses for water operators in Mississippi, you will gain valuable knowledge and training. 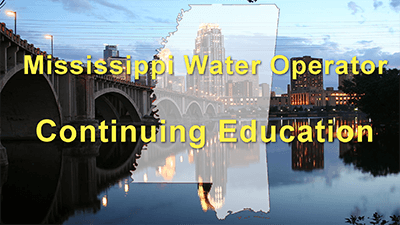 In addition, these courses have been approved by the State of Mississippi and can be used to get the required number of continuing education units (CEUs) needed to renew a water operator certificate. What are the CE requirements for Mississippi water operators? Mississippi water operators must renew within a 3 year period. Your required MSDH Regulatory Hours must be taken directly through the Mississippi Department of Health. This course will fulfill 4.5 of your required hours for Mississippi water operators. Thank you for your interest in offering continuing education credit to Mississippi waterworks operators. The submitted courses are approved for the number of CEU hours listed. Please send a list to me quarterly of MS waterworks operators that have completed courses and the number of hours issued. Sorry for the delay in getting these materials over to you. I had to make some modifications to the documents that were sent back in December. Please review these items at your earliest possible convenience. 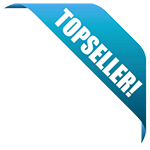 Please do not hesitate to write back or call ifI can be of any assistance at all.